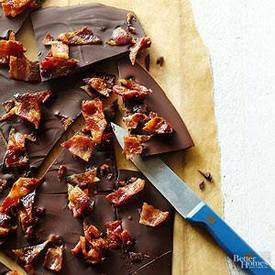 Some things are just meant to go together: Peanutt butter & jelly, cookies & milk...Bacon & Chocolate!! This is my favorite sweet and savory combination!! Go ahead, give it a try...your taste buds will thank you!